It is believed that Zimbabwe was the site where King Solomon got ivory, gold, and other precious resources. It is one of the few countries in the world that abandoned their own currency and uses other countries’. Believed to be the ancient land of Ophir mentioned in the Bible, which sent King Solomon regular shipments of precious resources, Zimbabwe was once a highway of trade for the Portuguese and Arabs. Today, this south-central African nation beckons visitors from around the world with a different treasure: awe-inspiring Victoria Falls, one of the Seven Wonders of the World. Here, mist-shrouded rainbows span craggy cliffs, and the persistent roar of the falls is mesmerizing. With its friendly people and rich culture steeped in tradition and spirit, Zimbabwe is the perfect complement to any African safari. You are responsible for obtaining and paying for all entry documents (visas, etc.) and for meeting all health requirements (inoculations, etc.) as required by the laws, regulations, or orders of the countries you will visit. We cannot accept liability if you are refused entry onto any transport or into any country for failure to carry correct documentation. A visa for your visit to Zimbabwe is necessary for US citizens. If you hold a passport from another country, check with your local consulate about requirements for travel to Zimbabwe. Visas cannot currently be obtained through an embassy or a visa service prior to departing the US due to a shortage of visa stickers. They can only be obtained upon arrival at the airport in Victoria Falls or at the border crossing. You will need space in your passport for the visa. All passengers traveling internationally are required to have a passport. Most countries require that the passport be valid for at least six (6) months beyond the conclusion of your trip, so please check the expiration date carefully. It is also recommended you have a minimum of three blank pages in your passport when traveling, as many countries require blank pages. Please carry proper identification (your passport) on you and do not leave it in your suitcase or hotel room. Most countries have laws that require you to carry your passport with you at all times. The country code for Zimbabwe is 263. When calling to Zimbabwe from overseas, dial your international access code (011 from the US/Canada), followed by the country code, area code, and phone number. Phone numbers in Zimbabwe are 6 to10 digits in length. Dialing from the US/Canada: 011 263 ## ### ####. The Zimbabwean Dollar has been suspended indefinitely due to high inflation. U.S. Dollars are the most commonly used currency. It is advisable to bring newer U.S. notes that are in good condition as some merchants will not accept those that are tattered and/or old. ATMs are readily available in Victoria Falls, but due to a shortage of U.S. Dollars in the country, they often restrict or simply deny withdrawal requests, so it is best to have U.S. Dollars with you upon entry to the country. The use of credit cards is far more limited in Zimbabwe, but they are accepted at tourist-heavy sites, hotels, and some restaurants. Visa is most accepted; MasterCard, American Express, and Discover are more difficult to use. Smaller shops may ask you to pay in cash or have a minimum amount required to use a credit card. Due to increasing credit card fraud worldwide, be prepared to show identification when making a transaction with a credit card. These are not accepted in Zimbabwe. The approximate cost of a soft drink/mineral water/coffee is US$1-$2. An average lunch consisting of a salad or sandwich and a soda or water starts at approximately US$7-$10. Dinner at a mid-range restaurant with dessert and a non-alcoholic beverage starts at approximately US$30-$35. Please be warned that if you buy items on tour to be shipped to your home, customs import charges are rarely included in the price. If you use a credit card for your purchase, you will be debited in the local currency, and your bank will establish the rate of exchange on the debit. Sales tax or GST (Goods & Services Tax) is normally already included on price tags; GST refunds, if applicable, are processed at the departing airport relevant country. Tipping is a common practice in Zimbabwe and usually well received. In restaurants and bars, a tip of 10%-20% is acceptable. Tip taxis drivers 10% of the fare. For hotel and room service, a common tip amount is US$1-$2 per service if warranted (excluding porterage which is included). Voltage ally 110V. Therefore, you will need a converter for your travels. 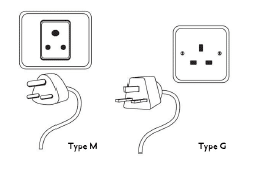 Adapters will be necessary to adapt your plug into the outlet, but these may not convert the voltage, so both devices are necessary. Some hotels feature multi-region outlets. Zimbabwe experiences its drier season from April to October when it tends to be a little cooler, while heavier rains usually occur from November to March. To help you plan, below are average low and high temperatures for Zimbabwe. Zimbabwe features a lot of its local resources. “Mealie Meal” (cornmeal), fresh vegetables, rice, and chicken are important staples. A common dish is “sadza and stew” (ground corn paste, similar to the consistency of mashed potatoes with a hearty stew). In Zimbabwe, tap water is not safe to drink. Water served at your hotel is safe. Otherwise, we recommend you drink bottled water. African culture is diverse. You will encounter new customs and different lifestyles as soon as you enter in the country. Appreciate and enjoy the differences. A majority of the locals speak English and will greet you with a smile. In some African countries, a warm smile and a handshake is a perfectly acceptable greeting. If you are not a local, do not extend your hand first. Wait for the other person to do so. Local men do not normally shake hands with women in public. When greeting an elder, it is acceptable to bow your head slightly in place of a handshake. Although not necessary, many visitors like to bring gifts for the local children. If you would like to give a gift, we suggest that gifts and donations be made through local schools and orphanages. This gives you the chance to help the local community without reinforcing the culture of begging. If you do choose to give gifts directly to children you encounter, please do not give out candy. Gifts such as school supplies or clothes are much better options. In addition, we do not recommend that anything be given to street beggars and street children encountered in the towns and cities, as it promotes a negative life-style. Always ask permission before taking a photograph of a local resident. Poverty is a fact of life in many African countries. You should be prepared to see it, but not be scared by it, as most people are still very happy and friendly. Out of respect, it is best to avoid excessive displays of wealth.